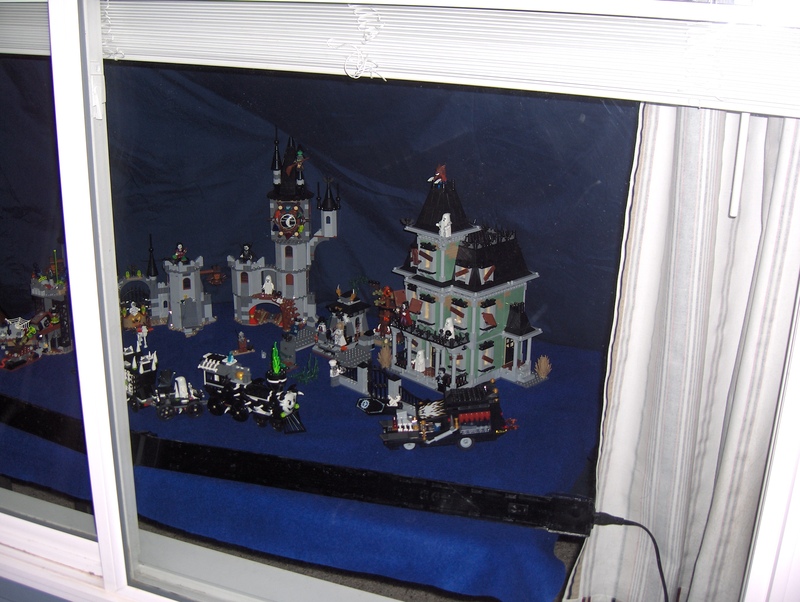 Since LEGO was kind enough to provide the Monster Fighters line in time for Halloween, the Wife & I struck out on an adventure to create a display for the treaters that stopped at our house. 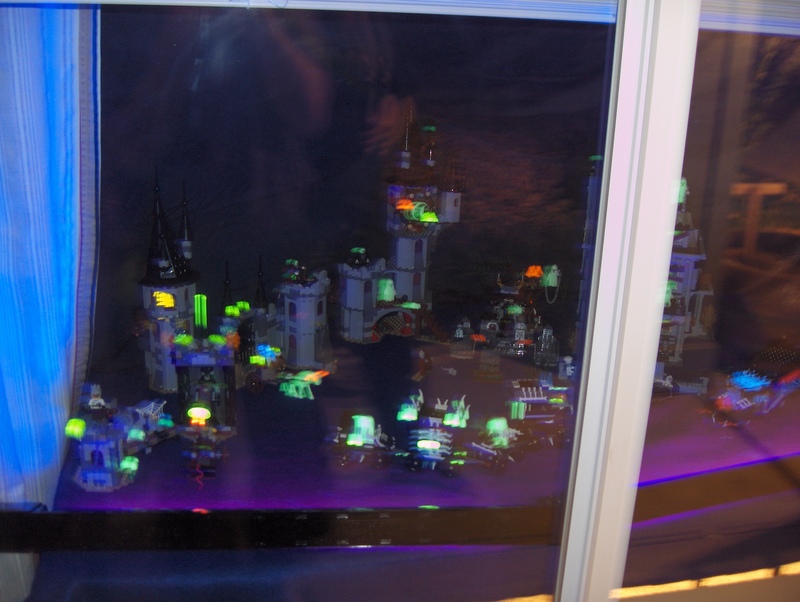 We put the display on a table in our front window & used black lights to accent the glow-in-the-dark pieces. I know the night picture is blurry but you get the gist of the glow effect. My Wife would smile while sitting on the couch every time we heard kids on the porch say "Wow" "How cool" "Fabulous" (teenager) before they would ring the doorbell or knock. 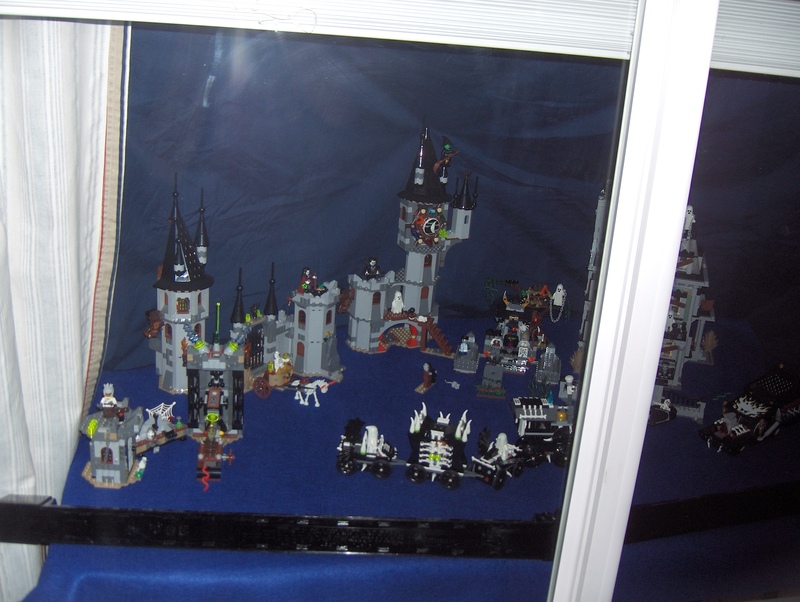 @Chooch, Great job, love it, I did similar, and had the same effect, was quite a buzz to hear all the kids going "Wow, awesome, look at that Lego display!!!" 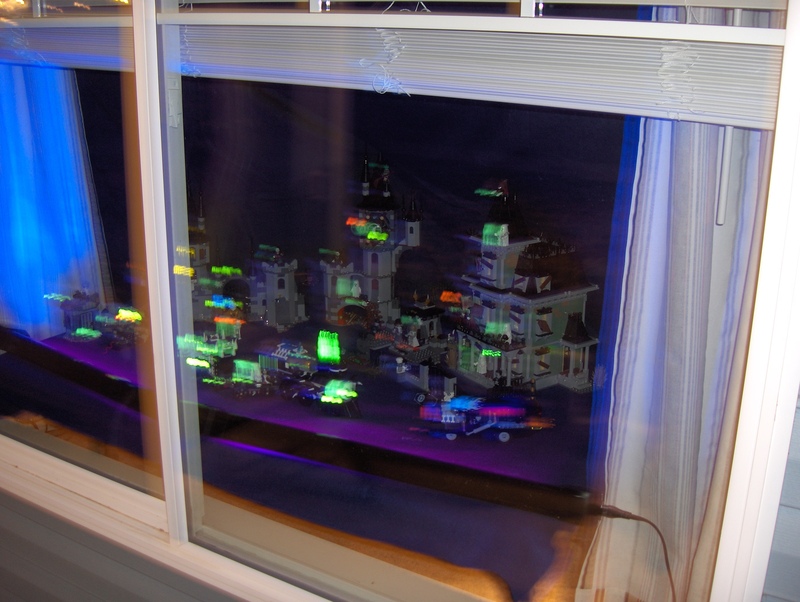 Will do the same again next year (and take a tip from you with the black light), but want to step it up and go even bigger next year (3 extra large baseplates wasn't enough!). @princedraven - picked up the black lights (24 inch) @ Walmart for $11 each. I really liked how they highlighted the glow feature but struggled with being able to see the rest of the model. We are taking a different approach next year to create a 'moon' with a regular light and then add the black lights for effect. Probably be more of a scene than this year's attempt.